English subtitled teaser trailer added for upcoming movie “Midnight Runners” starring Park Seo-Joon and Kang Ha-Neul. Meanwhile, here’s two new character posters of Park Seo-Joon and Kang Ha-Neul for the movie. 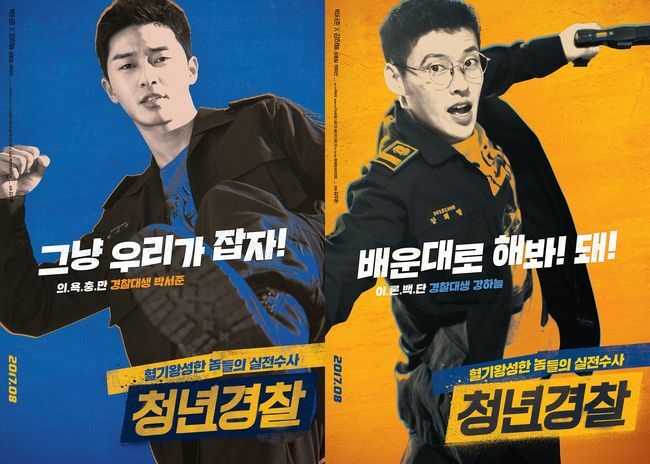 The caption on Park Seo-Joon’s character poster states “Let’s catch them by ourselves!,” while the caption on Kang Ha-Neul’s states “Do as you were taught! It works!” The captions explain the differences between the two characters. Ki-Joon (Park Seo-Joon) is completely gung-ho and acts before thinking. Hee-Yeol (Kang Ha-Neul ) is cerebral and values principles. “Midnight Runners” opens August, 2017 in South Korea. 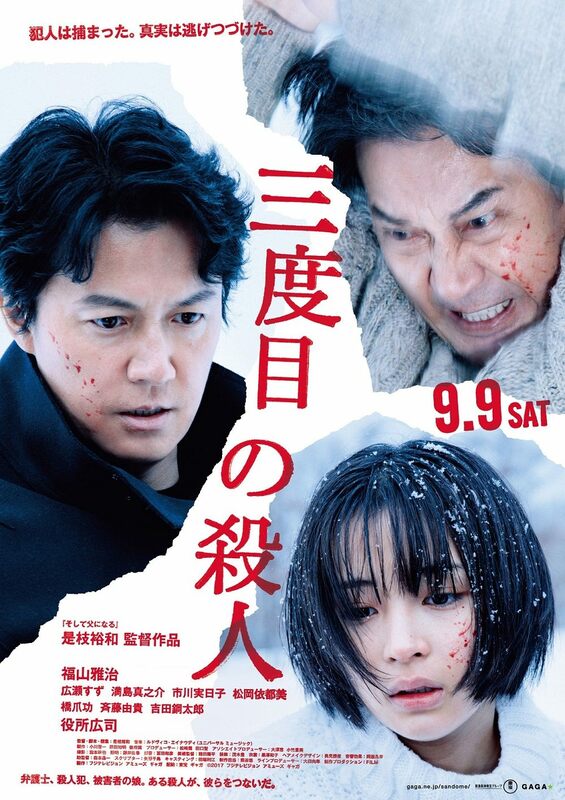 Main trailer and poster for movie “The Third Murder” starring Masaharu Fukuyama, Koji Yakusho and Suzu Hirose. Movie is written and directed by Hirokazu Koreeda. “The Third Murder” opens September 9, 2017 in Japan. Teaser trailer added for upcoming live-action film “Anonymous Noise” (literal title) starring Ayami Nakajo, Jun Shison and Yuta Koseki. 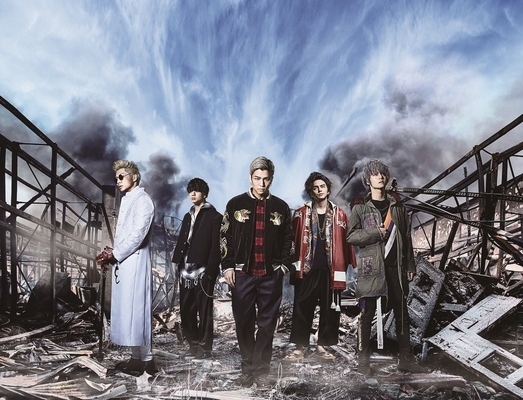 The teaser trailer features ending theme song “Find You” by rock band Man with a Mission. The group consists of 5 members: Tokyo Tanaka, Jean-Ken Johnny, Kamikaze Boy, DJ Santa Monica and Spear Rib. 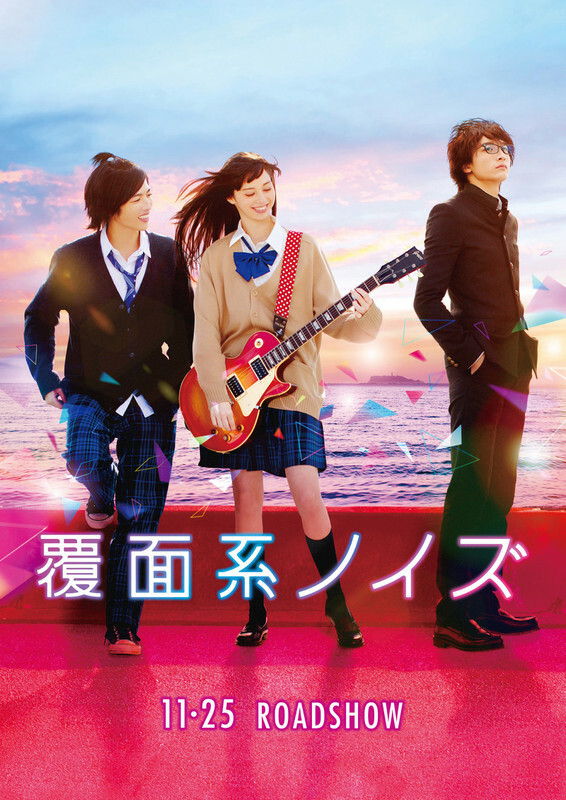 Movie “Anonymous Noise” is based on manga series “Fukumenkei Noizu” by Ryoko Fukuyama. “Anonymous Noise” opens November 25, 2017 in Japan. Main trailer added for movie “High & Low The Movie 2 End of Sky.” Story for the film has peace arriving to the city after SWORD defeats Wangan Rengogun, but new gangs arrive to cause mayhem. The new gangs are Doubt and Prison Gang. “High & Low The Movie 2 End of Sky” opens August 19, 2017 in Japan. 2nd main trailer added for upcoming movie “I Want to Eat Your Pancreas” (literal title) starring Shun Oguri, Keiko Kitagawa, Takumi Kitamura and Minami Hamabe. 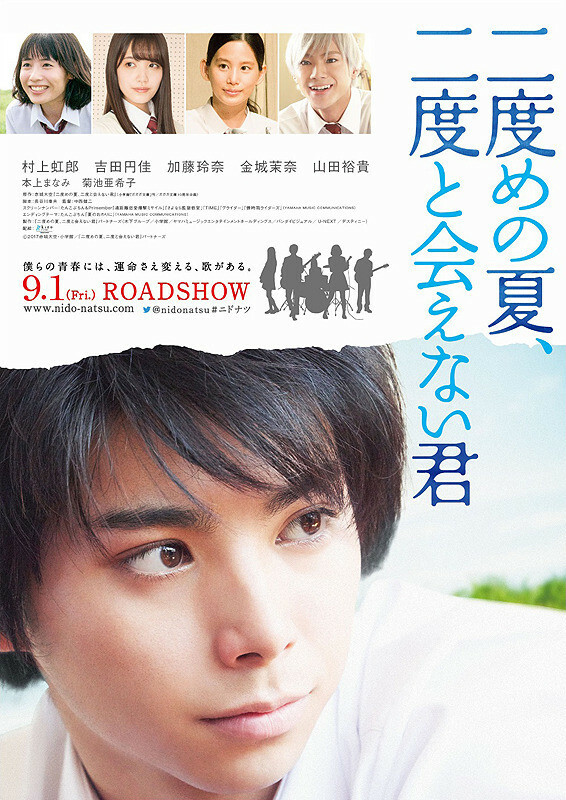 Movie is based on novel “Kimi no Suizo wo Tabetai” by Yoru Sumino and directed by Sho Tsukikawa. In addition a new poster for the film was also released. The theme song for the movie has also been announced which is “Himawari” by rock band Mr.Children. “I Want to Eat Your Pancreas” will be released July 28, 2017 in Japan. 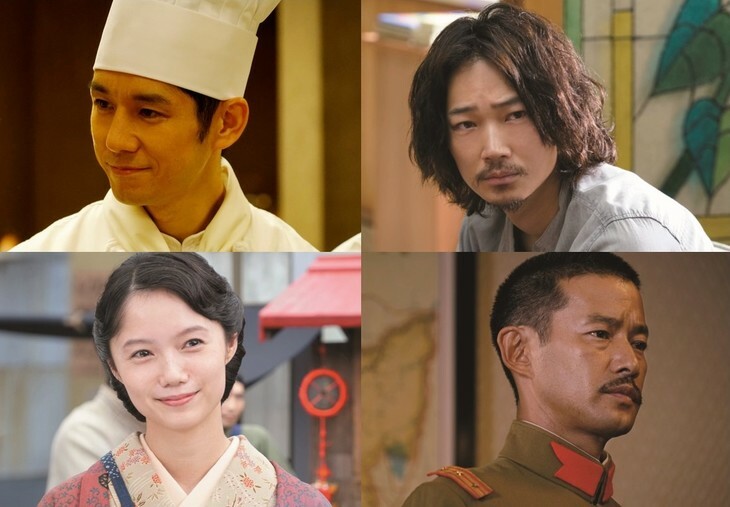 Teaser trailer added for movie “The Last Recipe” starring Kazunari Ninomiya. Still images for supporting characters played by Hidetoshi Nishijima, Gou Ayano, Aoi Miyazaki and Yutaka Takenouchi have also been released. In the upcoming film, Hidetoshi Nishijima will play Naotaro Yamagata. He is a chef in the 1930’s. He is able to make an exact dish just by tasting it once, which Mitsuru Sasaki (Kazunari Ninomiya) is also able to do. 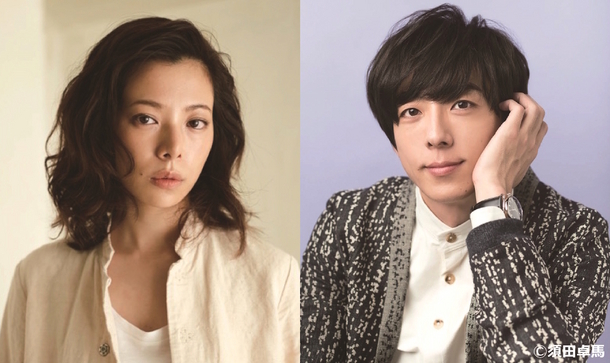 Gou Ayano will play Ken Yanagisawa. He grew up in the same orphanage as Mitsuru Sasaki and is the only one who understands him. Aoi Miyazaki will play Chizu Yamagata. She is the wife of Naotaro Yamagata. Yutaka Takenouchi will play Taizo Miyake. He is a colonel in the army. Teaser trailer added for upcoming movie “Hyouka: Forbidden Secrets” starring Kento Yamazaki and Alice Hirose. Movie is based on 2001 novel “Hyouka” by Honobu Yonezawa and directed by Mari Asato. Trailer added for upcoming time-travel/romance film “Second Summer, Never See You Again” (English title), starring Nijiro Murakami and Madoka Yoshida. Movie is based on light novel “Nidome no Natsu, Nidoto Aenai Kimi” by Hirotaka Akagi and directed by Kenji Nakanishi. 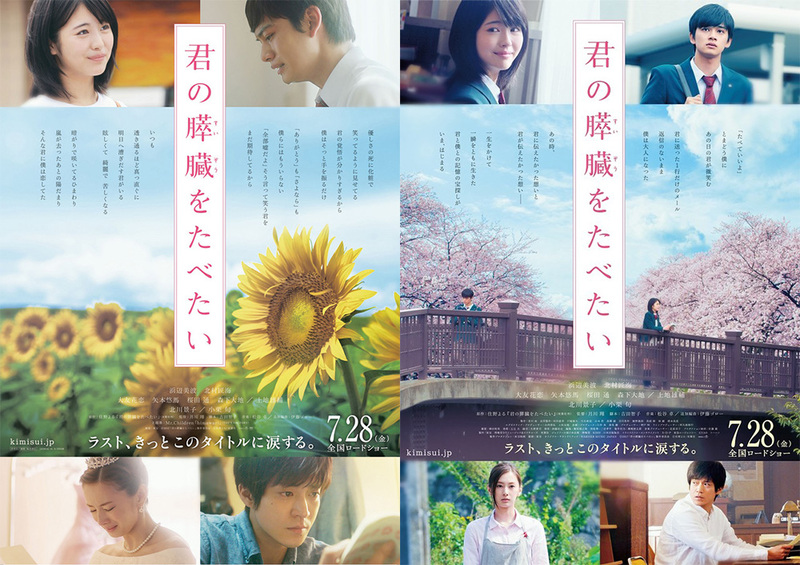 “Second Summer, Never See You Again” opens September 1, 2017 in Japan. Teaser trailer added for upcoming movie “Dorobou Yakusha” starring Ryuhei Maruyama (‘Kanjani Eight’). Movie is written and directed by Masafumi Nishida. Story for “Dorobou Yakusha” follows a reformed thief played by Ryuhei Maruyama. An old colleague blackmails him to break into a mansion. While committing the crime, he is caught, but mistaken for someone else. 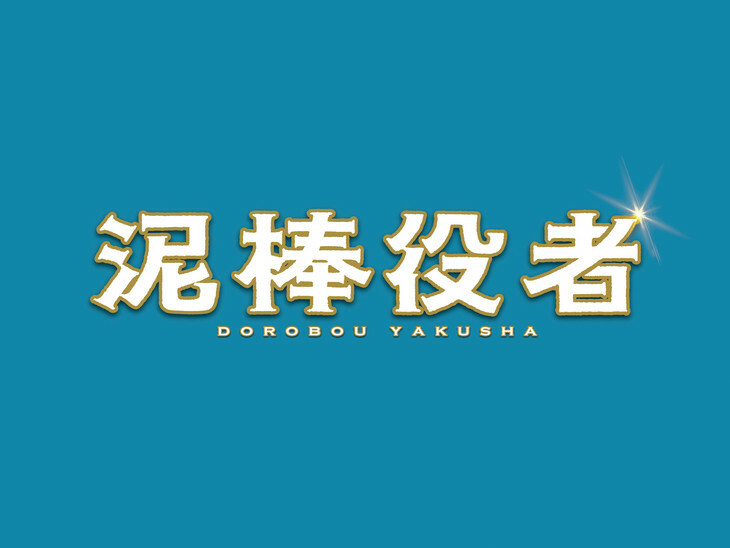 “Dorobou Yakusha” opens November, 2017 in Japan.